Our doctoral program draws top students from across the United States and around the world. Most candidates enter the program directly after completing an undergraduate degree in disciplines such as electrical engineering, computer science or physics. Prospective students should familiarize themselves with our faculty and the variety of research currently under way in this department. Strong applicants have a firm grasp of who we are and what we do. With 170 enrolled students and 31 full-time faculty, electrical engineering is the largest doctoral program at Princeton. And yet each student works closely with a faculty adviser and a small group of colleagues. Groups typically consist of a principal investigator (the adviser), a few post-doctoral researchers, and between three and 12 graduate students. The key to success in our program lies in choosing a faculty adviser whose research interests align with your own. Nearly everyone gets their first or second choice of adviser. Some candidates find a best fit with two shared co-advisers. Others work in areas adjacent to electrical engineering, like materials or computer science, and so work with an adviser from another department. Opportunities expand outward from the department. A variety of interdisciplinary centers provide a wealth of resources for research, education and collaboration. 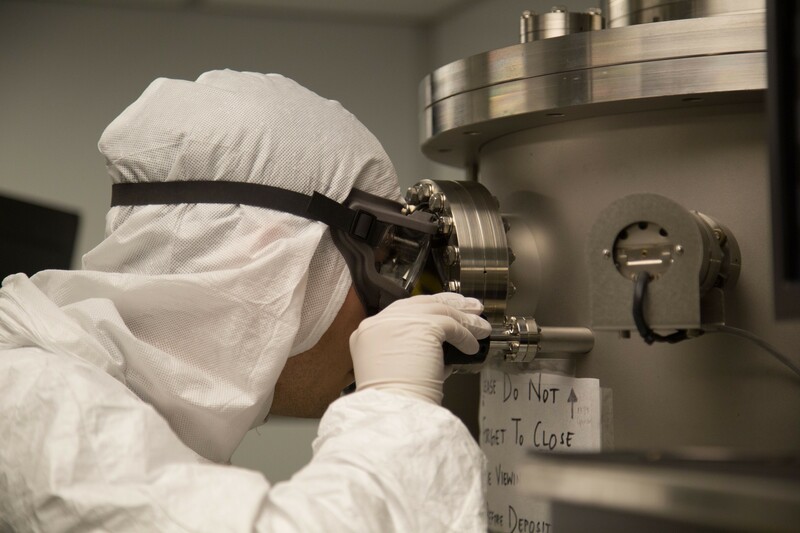 These centers house state of the art facilities for imaging and analysis, clean-room fabrication, high-powered computation and more. Your work will be defined by the bounds of your imagination. Many candidates also choose to complete a graduate certificate, which bolsters coursework, enhances research and provides further credentials for a competitive job market. Students maintaining good progress will be provided with full financial support for the duration of the program. This support covers University tuition and fees and provides a stipend for living expenses. Funding is awarded through a combination of University fellowships and research- or teaching-assistant positions. Housing is available for all first-year graduate students. Most students are accommodated in University housing for the duration of their regular enrollment. Candidates start with a balance of preliminary and advanced coursework and move progressively into a plan of research, ultimately leading to the doctoral dissertation and the awarding of the Ph.D. In your first semester you will focus solely on coursework. At the start of the second semester you will choose a faculty adviser and embark on the path to innovation. For more details about each step in the process, contact Colleen Conrad, the Graduate Program Coordinator.